As you all know I love to thrift! Thrifting has definitely become one of my favorite past times. I love the hunt, you never know what you will find at a thrift store and that's what I love most. Well, in an effort to be a bit more active with my readers I thought I'd start a new feature Thrifting Thrusdays (#Thrift360). I originally asked everyone to share pictures of a thrifted treasure on the FB Like page's wall. However, it was clear that this picture sharing was a sure fit for instagram! 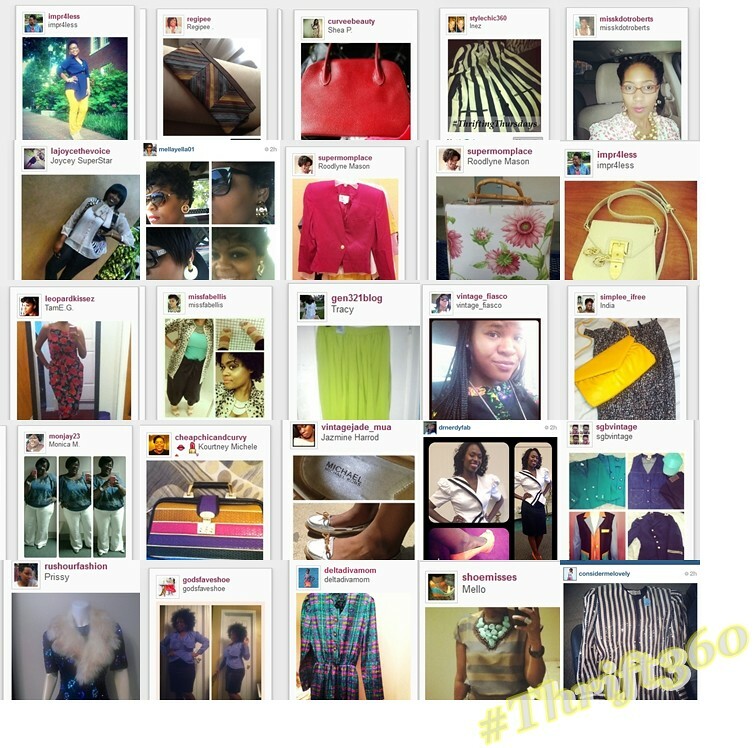 So if you're on Instagram, be sure to follow me: @stylechic360 and every Thursday post a thrifted treasure that you've purchased and remember to hashtag the picture #Thrift360! Be one of the first 10 to instagram your find and I'll re-gram (share) your pic on FB, twitter and my instagram. I'm happy to say that the first Thrifting Thursday was a huge success! I want to thank everyone who participated! I can't wait to see what you'll share tomorrow!! !